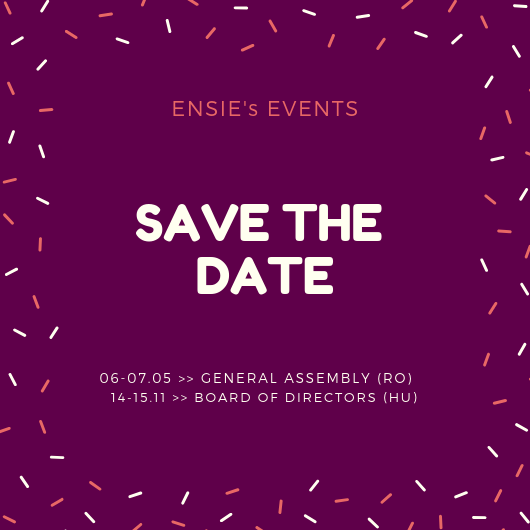 ENSIE, represented by the policy officer Aurélie Duprés, took the floor during the meeting and then wrote an email to Mrs Rodert in order to explain its disappointment to the EESC approach on social enterprises. This underlines the importance of social enterprises, by defining them as not only work social integration enterprises. ENSIE claimed the need of keeping a positive approach towards the WISEs, and asked the EESC to describe social enterprises as many type of enterprises, and among them, the WISEs. Workshop 1 - Education as a gateway to social engagement: the foundations of inclusion; Workshop 2 - Education as a gateway to the labour market: making inclusion real; Workshop 3 - Education as a gateway to the exercise of rights: active inclusion. Charlotte Gruber, ENSIE’s president, presented the network and its enterprises as creativity actors in time of economic and social crisis. In April 2008, ENSIE started collaborating with the EESC and Mr. Bloch-Lainé, rapporteur of the opinion on the social experimentation.